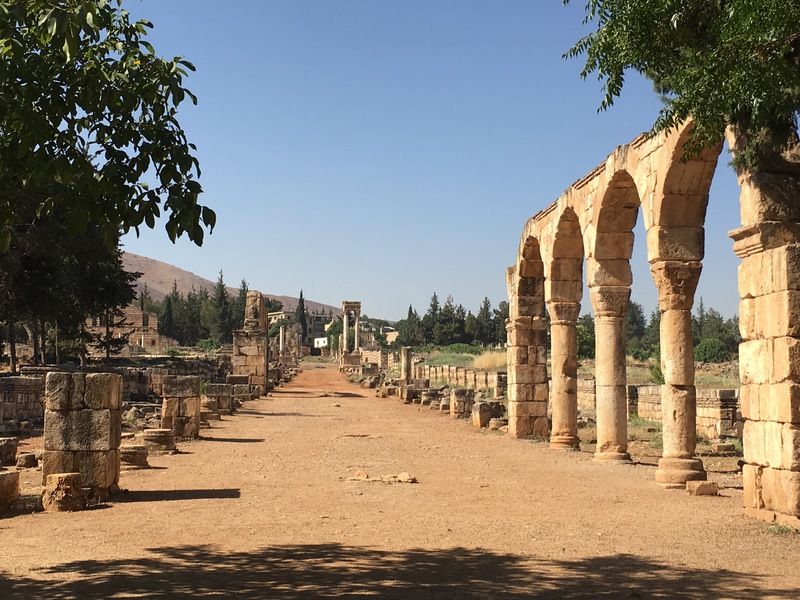 One of my top wishlist in Lebanon is to visit the Anjar Ruins and the Baalbeck temples. The latter is located 40km from Damascus and 12km from the border with Syria. I was also told of then on-going attack on terrorist group occupying Arsal by the Lebanese Army which started on Friday before I arrived. I met equal number of people who advised not to go and of those who advised to go because it will be safe. At the end, my curiosity is stronger and I went. I managed to come back in one piece unharmed and I am happy to report that all went well. I enjoyed both ruins very much, topped with a delicious lunch nearby (it will be on the Lebanese food post). 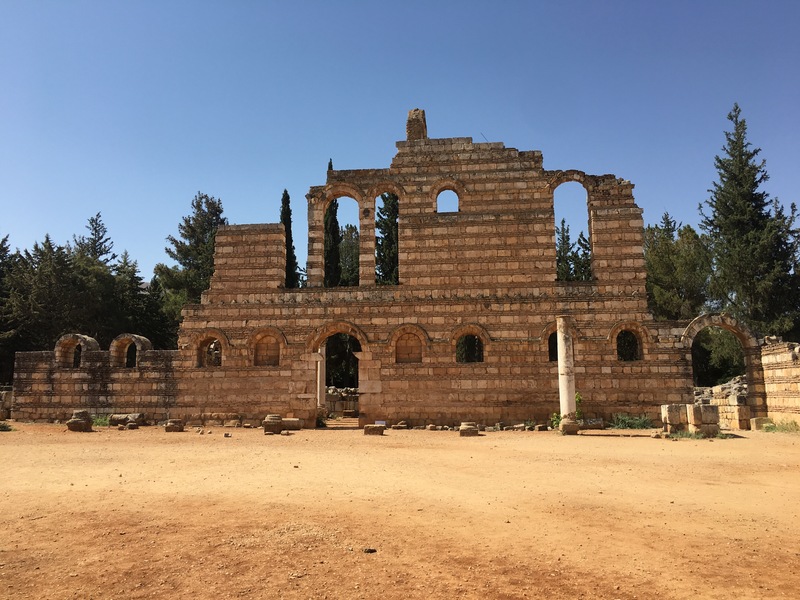 Anjar ruins is very interesting because it was founded by Caliph Walid of the Ummayyad dynasty in the 7th century, but the builders were local Christians and they built the city in Roman/Byzantian style. So one can observed the influences of those three cultures on the site. The city was planned in 4 sections divided by two intersecting roads resembling a cross. The intersection was marked by four pillars supporting a dome. The main road of Anjar. The arches on the right are the remains of the market place (cardo). The four-pole structure on the right is one of the remaining supporting pillars of the Roman style dome over the main intersection of the city. There were remains of Roman cardo (market) and its walkway. At the hammam (public bath), remains of Byzantine and Roman style mosaic floors are still present. 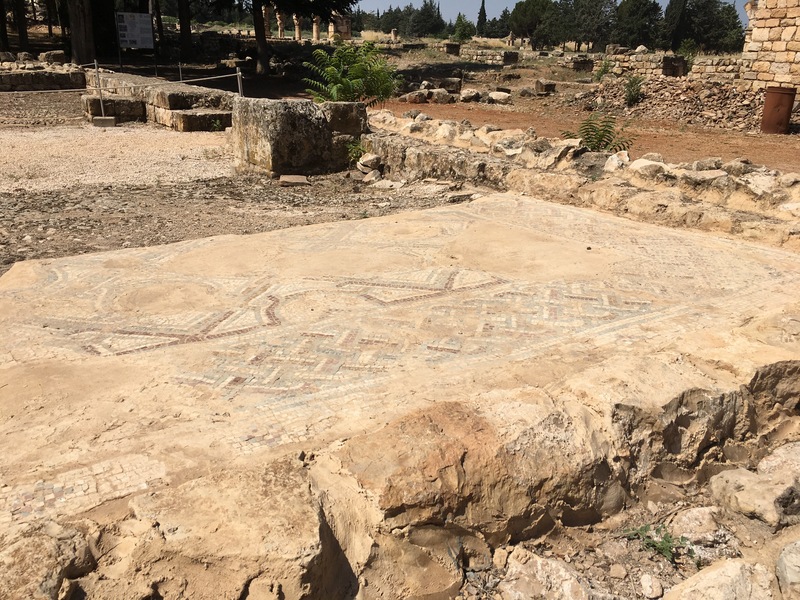 Remains of Byzantine and Roman mosaics in Anjar. This was the hammam’s floor. I also love the restored two-storey arches in the Summer Palace. 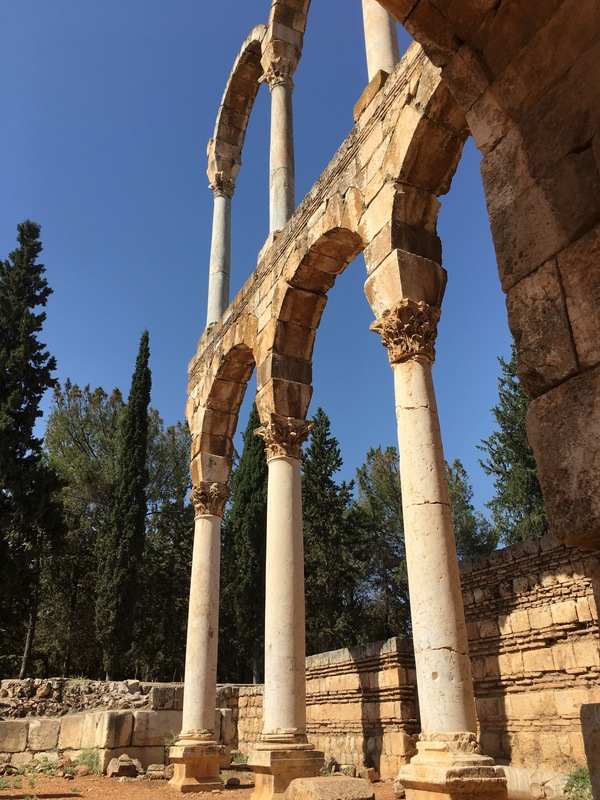 Two-storey arches of the Summer Palace in Anjar. Restored wall of the Summer Palace in Anjar. There is a pilar with Roman inscriptions in its courtyard. Roman inscriptions can be seen on one of the pillars in the Palace courtyard. They took this pillar from another site, it seemed. Although Byblos is the oldest city, in my humble opinion, the Baalbeck temples are the more beautiful of the two. 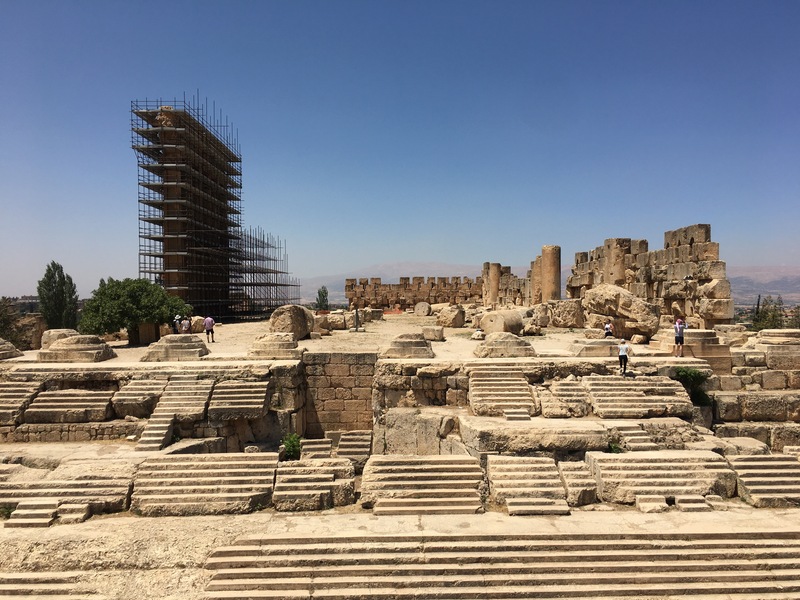 In Byblos, the biggest structure left is the Crusaders’ fortress, which is a baboon of gray, ugly structure overwhelming the Phoenician and Roman ruins on the site. It is however an important place, where Phoenician alphabets were discovered on a sarcopaghus now housed in the Beirut National Museum. 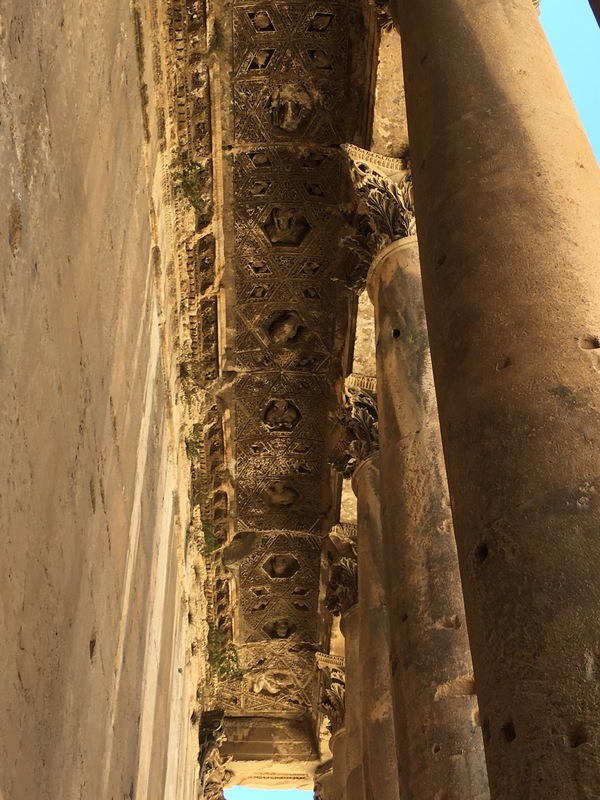 Baalbeck, however, inspires many umms and ahhs. The most famous photo of Baalbeck is the Temple of Bacchus (God of the wines and the good times). 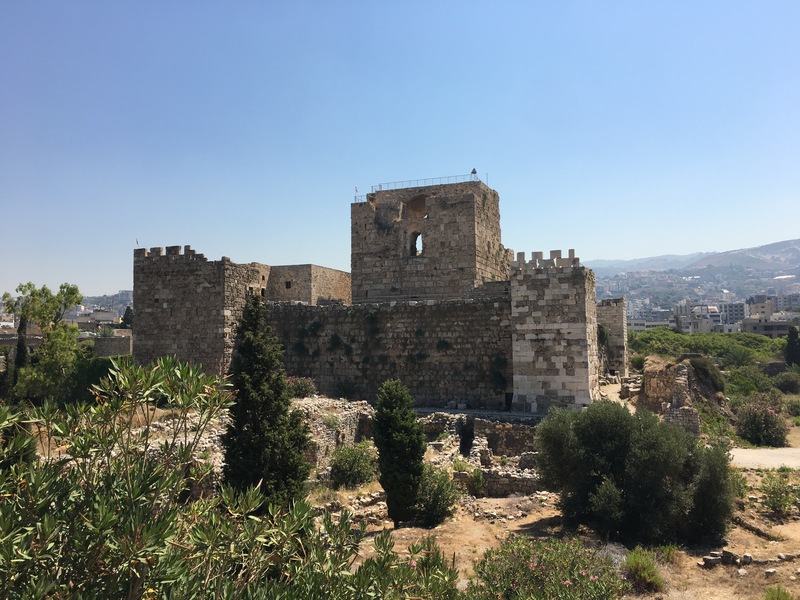 It can be seem from afar with the walls and the pillars around the temple still standing (restored – 2/3 of the wall was covered by soil until as late as the end of 19th century). 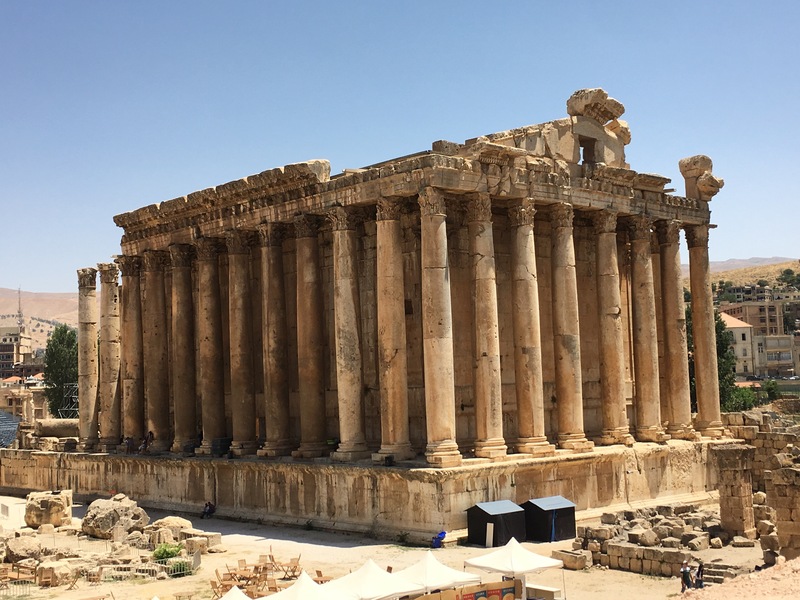 Temple of Bacchus in Baalbeck. And when one arrives at the temple, look up when walking on the portico. One can see the original carving of the roof decorations. Do not miss this! The portico ceiling of the Temple of Bacchus. The temple of Jupiter section was the biggest on the site, but more imagination is needed. The remains of the main building of the Temple of Jupiter. A few of the pillars are being restored. The video is showing the outer part of the Temple of Jupiter. In a few months, they would also open the Temple of Venus section. The museum inside the tunnel under the Temple of Jupiter is worth to visit. 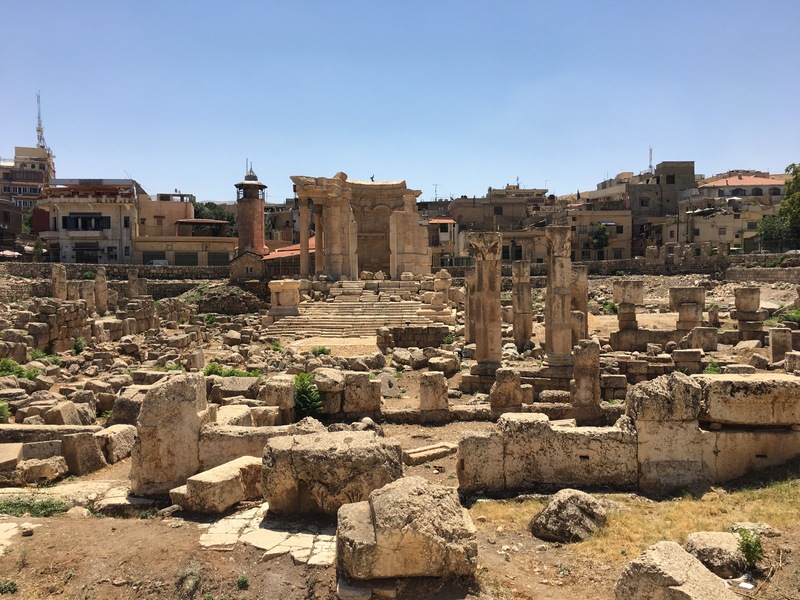 Temple of Venus in Baalbeck. I engaged Lebanon Tours & Travel for my excursions. Hussein is very helpful and hospitable. The drivers he engages are polite. Most importantly though, he engages local guides at each site, and the guides are all qualified. My guide at Anjar, Asador, has degrees in both archeology and tourism. The one at Byblos, Marselle, is a qualified national guide in Lebanon. I did not ask the qualification of the guide in Baalbeck, but Charbel is also very good.